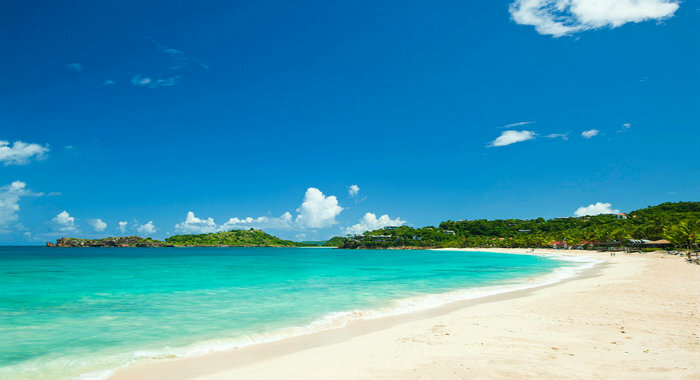 “Stepping onto my British Airways flight, I began my journey to Antigua with excitement. This would be my third visit, and flying in the Club World cabin was a real treat. Upon arrival in Antigua we were met by Randy and Passion, our tour guide and driver for the week. No matter how many times I return to the Caribbean, I am always bowled over by the genuine friendliness shown by the locals. As always, even arriving in rainy season, the sun was shining bright and the temperature was high. I knew at this point I was going to have a good week! I visited many hotels throughout the week, however, it is difficult not to have a few personal favourites. 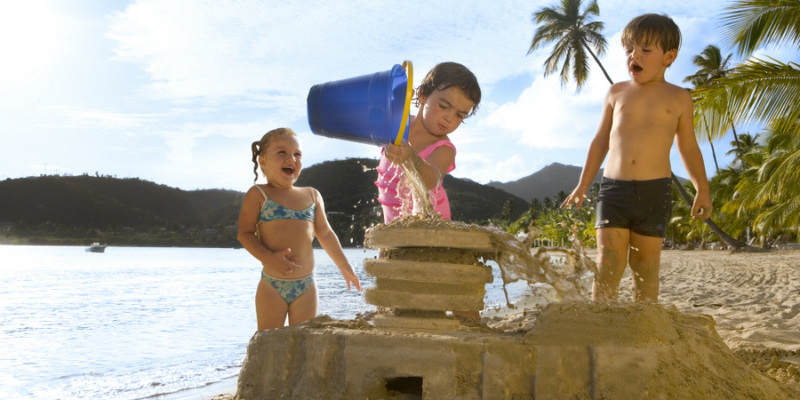 My favourite hotel for five star luxury for families would have to be Carlisle Bay. Located on a gorgeous beachfront location, the bay is stunning, lined by palm trees and beautiful beachfront accommodation. The resort manages a good mix of both couples and families. The facilities at the hotel are second to none, ranging from tennis courts, to a poolside indoor cinema, to a fully equipped kids club. You can even hire a bike and ride the surrounding area. The family accommodation are the beach terrace suites, and the beach balcony suites comprising of a large open plan living room and bedroom, and a second good size twin bedded room for the kids. This is my second visit to Carlisle Bay, and I have to say it has exceeded my expectations once again. The attention to detail at this hotel is nothing short of amazing, and reinforced by the very attentive, but not over the top, welcoming staff. We didn’t need to drive very far through the local village before then reaching Curtain Bluff. We were met by the very welcoming general manager upon arrival, and given a very much-needed cold flannel (it’s hard work visiting all these luxury hotels in the sun). Our first port of call was the astounding wine cellar. For any wine lovers, this is the place to be. With over 20,000 wines to choose from, you will definitely be spoilt for choice. Weekly wine-tasting is available at an extra cost, which personally I would say is well worth it. 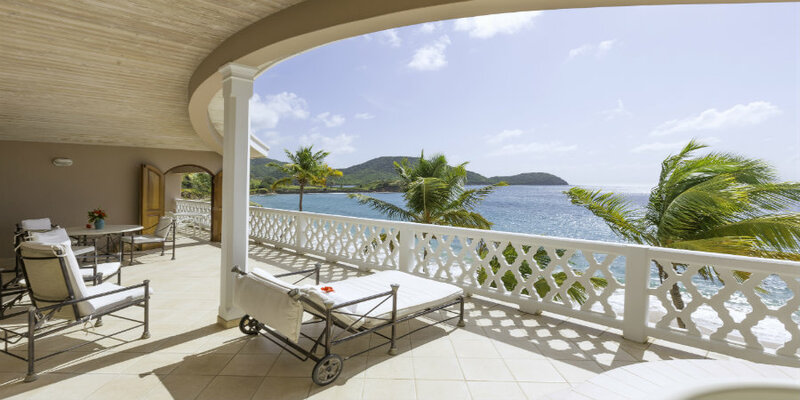 The spa at Curtain Bluff is exceptional. The outside relaxation area with pool overlooking the ocean is how every spa should look in my opinion. Other highlights include the tennis courts where there are four professional tennis weeks held throughout the year, the squash court, the complementary snorkelling trips and deep sea fishing trips, and the all round relaxed friendliness that I felt all over the resort! I could not move on however, before commenting on how delicious the food is at Curtain Bluff. I was lucky enough to have lunch here at the beachside restaurant. I have never had such a fantastic lobster salad! Driving around Antigua is a real treat. Stunning beaches around every corner, they really do not lie when they say there is a beach for every day of the year. The sand here is the pure white powdery sand that everyone dreams of when holidaying to the Caribbean. It really is as beautiful as it looks in the pictures. Most of the roads are very good, and it isn’t very difficult (even for those bad at directions) to get around the island. In the event that you do find yourself lost, a friendly local is always at hand to help. To be honest, all roads lead to somewhere beautiful. 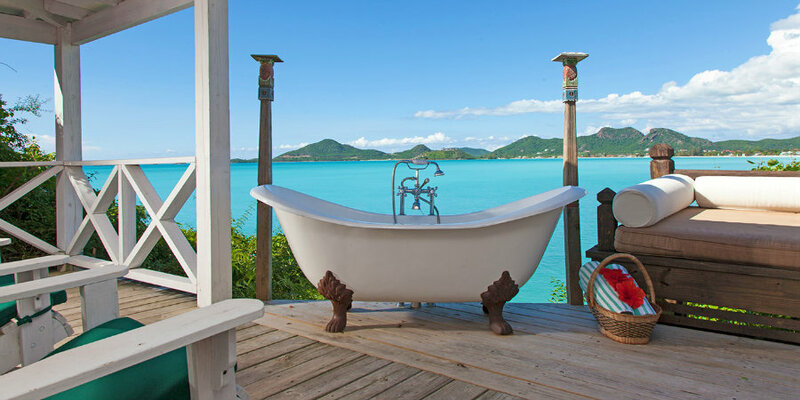 My favourite resorts for couples and honeymooners has to be Cocobay. The small, boutique resort is built into the hillside with spectacular views across the bay and consists of only around 50 rustic cottages. The feeling is very laid-back and relaxed, with touches of barefoot chic. The cottages are modern yet very homely, boasting dark woods and outdoor showers. Every time I try to book this hotel, it is a struggle due to availability. Having visited the property I can now see why it is so popular! The staff smile all day long, the pools are stunning, and the beaches are as you would hope for in the Caribbean. A true value for money honeymooners paradise! (In fact I might even consider it for my own honeymoon later this year). I was lucky enough to stay at several hotels during my trip. However, I have to say my three night stay at The Verandah was extremely pleasurable. Located in a National Park area each suite over looks the ocean. 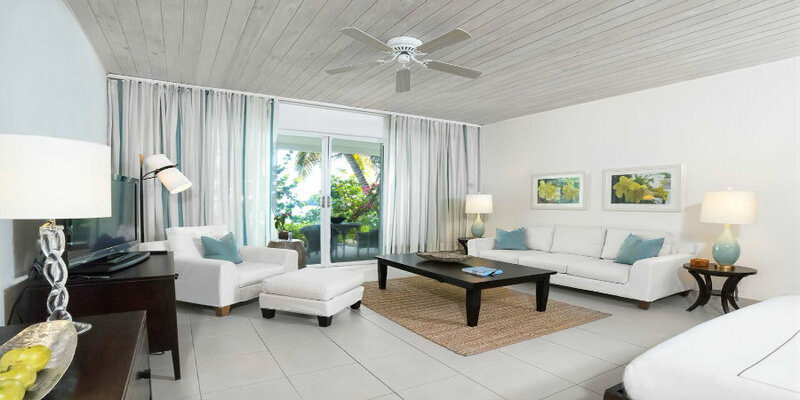 The suites are spacious and well suited to both couples and families. The facilities at The Verandah are excellent, ranging from mini-golf, to tennis courts, to the most fantastic kids club on the island (in my opinion), catering for children from 2 to 12 years old. 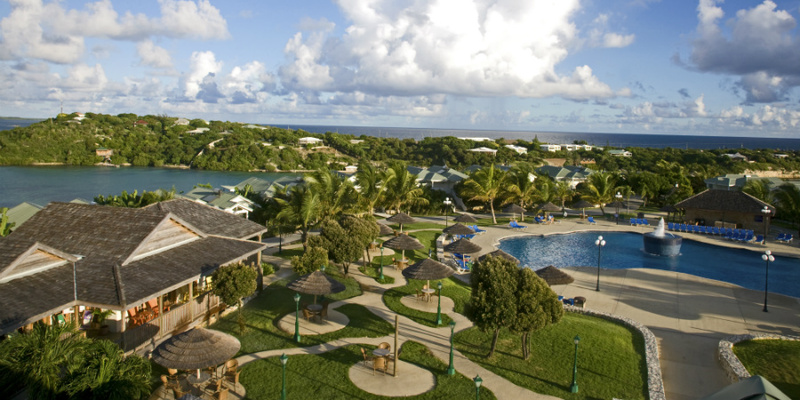 Although a larger resort, consisting of around 180 suites, the resort is nicely spread out and is very lush. We were lucky enough to have our last day free at The Verandah, ensuring I made full use of the gym, beach, restaurants, pool, and anything else I could squeeze in. I have to say I was not left disappointed! I really could go on and write so much more about the whole host of fantastic hotels I visited. I have a lots of genuine love for Antigua. Galley Bay, Blue Waters, St James’s Club, Cocos Hotel, The Inn at English Harbour, Hermitage Bay, Sugar Ridge are all brilliant hotels on the island and ones I would highly recommend to all of my clients for different types of holiday in Antigua. People sometimes think there is very little to do on the island of Antigua. Hopefully anyone reading this trip diary will now realise that this is not the case. Stingray City is a brilliant excursion – after heading out to an offshore reef by speedboat you arrive to a sight of up to 50 stingrays swimming in their natural environment. 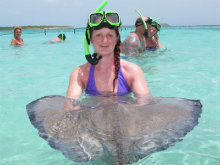 I have always loved stingrays, and this experience was incredible. The stingrays were so relaxed, you could hold them very gently in your arms and feel them go to sleep, just like a baby in your arms. Remember the sun cream on this trip! The boat trip we took upon the Mystic catamaran was also great. Departing from St John’s we headed along the coast to a set of uninhabited islands. Arriving just off of Bird Island, it was like we had arrived in a completely different part of the world. The crew were a lot of fun, and drinking rum cocktails alongside the Robinson Crusoe style islands was a memory that will stay with me for ever. Upon our return the music began and the Caribbean dancing and hospitality continued until we moored back at St John’s. Many boat trips can be taken from St John’s, including a circumnavigation of the entire island. For those shoppers amongst us, St John’s offers market stalls, duty-free shopping, and many local shops selling crafts and essentials. St John’s is full of colour, history, architecture and lots of smiling welcoming locals. No holiday to Antigua would be complete without a trip to Shirley Heights on a Sunday evening. Held every Sunday throughout the year, we were welcomed by a bustling steel band which created a fun party atmosphere for all ages. Tourists and locals alike both danced and shared the delicious barbecue. A local band then continued to entertain us until the early hours. The dancing shoes must definitely be packed! This party would bring any family, friend, or stranger together. This was a truly fantastic night, and is one that everyone should be able to experience. Call the Tropic Breeze team on 01752 880 880 or email [email protected] to discuss your next holiday to the Caribbean.